SUNGLAZE Architectural System is cleaver in design, with a beautiful aesthetic. It is adaptable to a myriad of applications, requires little maintenance and offers long term performance in any architectural application. 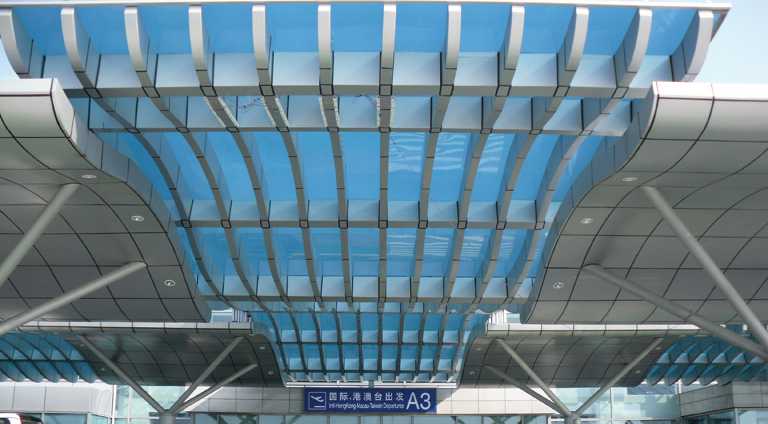 SUNGLAZE combines a standing-seam profiling on the edges of the polycarbonate with glazing bars that enable wide spans and high loading capacity. 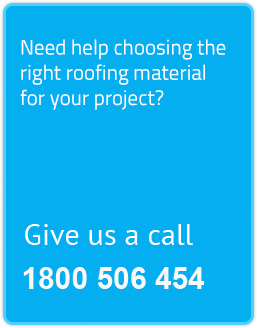 It can be specified in various lengths to match different structures, including flat and curved designs. 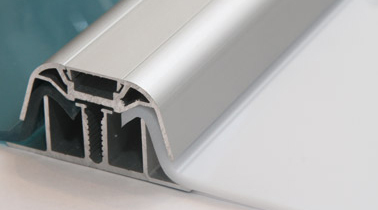 SUNGLAZE is simple to install, using aluminum profiles to lock the sheets into place. 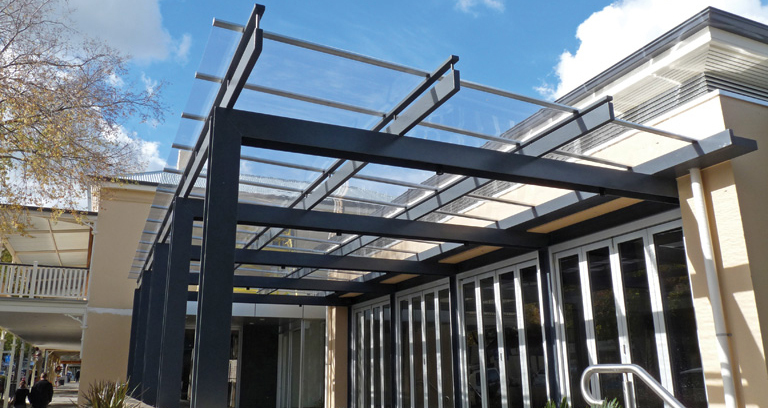 The aluminium profiles are screwed to the structure without any penetration through the polycarbonate panels, meaning that the sheets are free to expand and contract as required – while providing a strong watertight finish. For any given thickness, the “U” value of SUNGLAZE is lower than that of glass. This provides a 6.5-9% reduction in energy expenditure both for heating in winter and air-conditioning during the summer time. 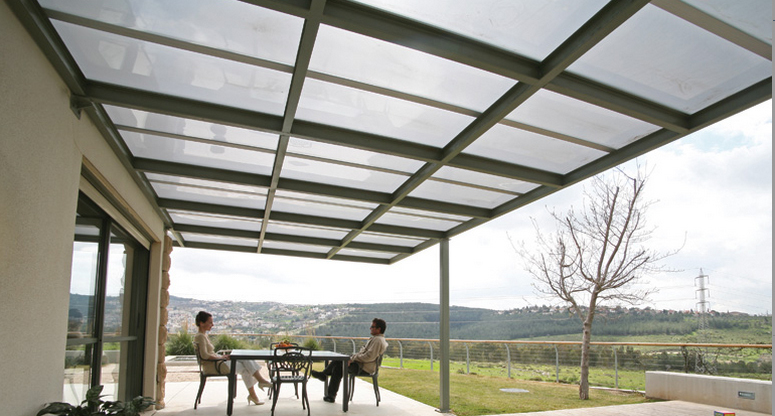 Note that the use of SolarSmart™ panels will partially block heat generating infra-red solar energy, which will further assist in reducing the air-conditioning costs during summer time – perfect for Australian conditions. Additional colours and thickness/widths can be purchased pending lead times and job quantities.